Databricks is a recent addition to Azure that is greatly influencing the technology choices that people are making when determining how to process data. Prior to the introduction of Databricks to Azure in March of 2018, if you had a lot of unstructured data which was stored in HDFS clusters, and wanted to analyze it in a scalable fashion, the choice was Data Lake and using USQL with Data Lake Analytics. With the introduction of Databricks, there is now a choice for analysis between Data Lake Analytics and Databricks for analyzing data. Data Lake Analytics offers many of the same features as Databricks. You can write code to analyze data and the analysis can be automatically parallelized to scale. Microsoft has released a new version of Data Lake, which they are calling Data Lake Storage Gen2 to improve the performance of analysis performed with Data Lakes. The difference, between the old version and the new one, is the hierarchical namespace to Azure Blob Storage which provides an indexing capability which means that operations can be performed on a directory rather than enumerating through all of the data. Data stored within a Data Lake can be accessed just like HDFS and Microsoft has provided a new driver for accessing data in a Data Lake which can be used with SQL Data Warehouse, HDinsight and Databricks. With Data Lake Analytics, the data analysis is designed to be performed in U-SQL. While it supports R and Python libraries, users of the technology will need to get up to speed on U-SQL which is a lot like C#. This knowledge needs to be learned. Since U-SQL is so new, only a few years old, there is not a large number of people who are familiar with it. When analyzing data with Databricks, there are three different languages which you can use: R, Scala, and Python. Data can be read in from a variety of different Azure Storage options, including Blob Storage, Data Lake, and by using a JDBC connection. You can also connect to Azure SQL DB, as well as Azure SQL Data Warehouse. Since there are three different languages which can be used, there is no reason to learn a new language as most people are already very familiar with at least one of the three supported languages. In addition to the ability to develop code, Da tabricks offers some other features which are not found in Data Lake Analytics. Many projects anticipate that people are going to be working in teams and will need to have an environment to share code and version it. This capability is baked into Azure Databricks as it provides an environment for sharing data with others and natively saving the data to a GitHub repository. The development environment is Jupyter Notebooks which provides a great way to document the code and include data samples, all at the same time. Databricks also includes a job schedule component so that work created in Databricks can use a native scheduler which has the ability to retry and send configurable messages on error or completion. These additional features, plus the ability to code in a language which is already widely used in the industry, give Databricks the edge in determining which technology to use going forward. Believe it or not there is a way to use Power BI without signing up or having an account. With an embedded application, you can use one Power BI ID and have all users use this account to log in. Now before you judge this is concept as a horrible security idea, keep on reading as you may change your mind. In this embedded application all users to login using a unique id and password and restrict the data seen in Power BI data based upon that id. How do you accomplish this seemingly incongruent task and why would you ever do such a thing? Well it turns out there is a logical reason for wanting to implement a Power BI application this way. There are many companies which would like to provide Power BI reports which would allow customers to interactively work with their data, but they don’t want to create Power BI accounts for customers as that can be a lot of work from an administrative standpoint. For the same reason, these customers are not added to the corporate network which means they are not added Active Directory. For example, if Desert Isle SQL contracts with Acme Corporation to create a custom conference display, Acme might want to show me a report showing when the components were purchased, when they were modified and when the order is in process and when the order is completed. How do I show a Power BI report containing information? From an application design perspective data from all of the customers should be stored in the same place and Desert Isle SQL should only see their orders when logging in to Acme’s site. Here is the workflow that I want to implement. When creating an embedded application, connecting requires a connection string. It is possible to pass additional information to the connection string buy modifying the gateway to use effective identity and then pass the role information you want to use. There are two configuration steps you need to complete to make this work. The Power BI gateway needs to be configured to use CustomData through the Map User name screen. Also SSAS needs to be configured to use Roles as the role will restrict the data that users can access. The CustomData can contain a comma delimited list of values, which can include the data I need to have to access the role. In the DAC for the role, the CUSTOMDATA field as performs as if it was a table. The DAX in the role would provide permissions based on the value of that table DimTerritory[TerritoryName] = IF(CUSTOMDATA() = “username”.“territory” . This will restrict the data that a customer can see based on the territory they have assigned. The Id can then be used to implement Row level security in Power BI with either the embedded data model or with Analysis Services Tabular. By using this method, you have the ability to restrict the data for each user and use one Power BI account all at the same time. 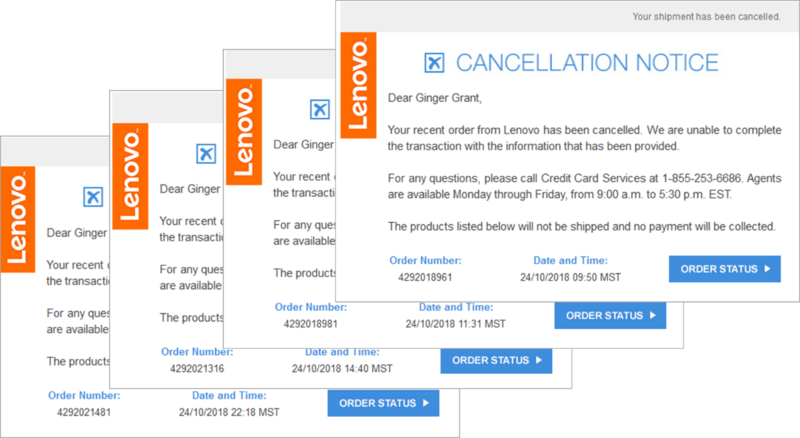 Unfortunately, this solution means that you are going to be purchasing the embedded version of Power BI as this functionality is not covered with a Pro License. Embedded applications require that you purchase an embedded license or have a premium account. The pricing for embedded has changed quite a bit from 2017 when it was introduced. Pricing is all about capacity, unless you use a Premium account. Power BI can be implemented in a number of different ways, and this implementation is one that you may see more of in the future. There are a lot of different things that you can implement Power BI and it is hard to keep up with all of the changes. If you are interested in learning more about some of Advanced Power BI topics, join me in person in Boston for a full day of Advanced Power BI Training on Friday, September 21. I look forward to meeting you here or anywhere else we might meet up. The July 2018 release of Power BI includes a lot of neat new features, like wallpaper and of course getting rid of the big formatting frame on Power BI Visuals, but Composite Modeling really stands out. Have you ever created a direct connection to a tabular model and then wanted to add that one Excel spreadsheet for another sales group or needed to add some economic web data? I have. If I was lucky I was able to get it added to the tabular model. Otherwise I had to give up on the idea. Adding more tables to the model which is using direct query is now possible with Composite Model. Since this feature was just released, it is still in preview. In order to be able to use it, go to the Power BI File tab then Options and Settings->Options->Preview features, as shown in the picture. You will have to restart Power BI after this option is changed. This option not only turns on Composite Modeling, it also enables Many to Many data modeling. In Power BI if you have tried to create a join relationship between two columns and one of them has duplicate values, you will get an error. If you need to join two tables and they have duplicate key values, more than likely you are familiar with the work around, which is to create another intermediate table which has a column with unique values to create the relationship. If you hide the table you can almost pretend that it really works. When you have Composite Models enabled in the Preview Features, you can create a direct relationship between tables which do not have unique keys! 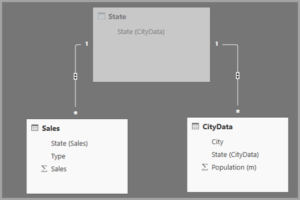 The Many to many relationship will be created for you in Power BI. Like me after playing around with both Many to Many and Composite Modeling you are probably all ready to deploy these features into production. That is a problem. 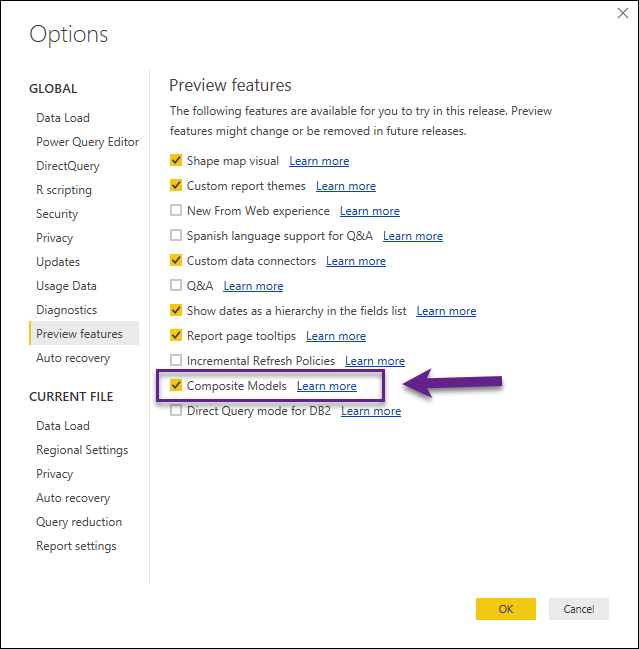 As Composite modeling is a preview feature, it cannot be loaded to the Power BI Service, for now. It will work as a desktop prototype, but you cannot distribute it, yet. There is another big factor regarding Many to Many which you may have noticed when trying to get this feature to work. It is not possible to incorporate Many to Many with SQL Server Analysis Services Tabular Models, yet. It is my understanding that Microsoft plans to have this available for Analysis Services data sources, but for now, it is not possible to model them. If you are planning on releasing either of these two features it is now possible to create and to use them in a desktop prototype. I am looking forward to the day, which I hope will be later this year, when these features are available to be distributed to the Power BI Service. If you work with Excel Pivot Tables, Power BI, or Analysis Services Tabular more than likely you are working to improve your DAX skills. I know I am. While I do a lot of work with DAX, I am always looking to get better at writing it and better at explaining how to write it for clients or class attendees. As I find things which I think others may find helpful, I write about them here to help spread the knowledge, especially to those people who have background in SQL. Microsoft has been working on the DAX language for about 10 years and released it in as part of Excel 2010 Power Pivot Add-in, back when Microsoft was incorporating Power BI functionality in Excel. Microsoft wrote DAX so that it would be like Excel so that people who are familiar with Excel would have an easier time writing it. While DAX is easier than MDX, it is enough different from Excel that it can get quite complex. One of the founders of the DAX language is Jeffery Wang, who is still actively working on enhancing the language further. He works not only with developers but also people in the technical community who work extensively with DAX to get their input. 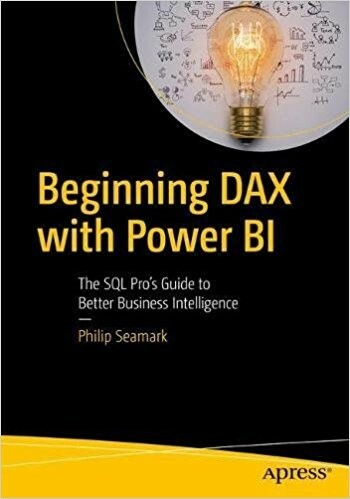 I also found out recently that he took time out to do a technical review of a book on the DAX language by Phil Seamark b | t.
If like me, your skills like not in Excel but in SQL, reading a book which builds upon SQL knowledge to understand DAX is really helpful. 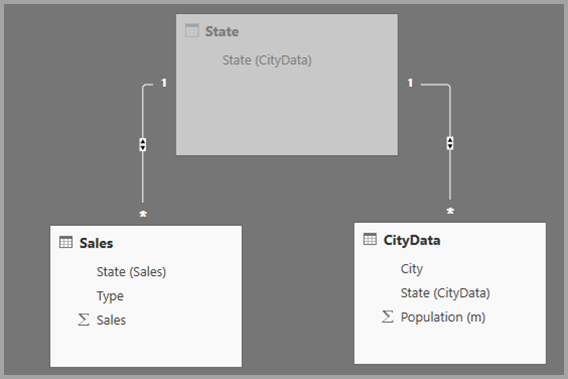 Beginning DAX with Power BI provides examples of how to write something in SQL then shows how the same functionality would be written in DAX, sort of like a SQL-to-DAX language library. Showing how to get the answer from SQL and DAX is a great technique to provide a better understanding of how to write DAX. 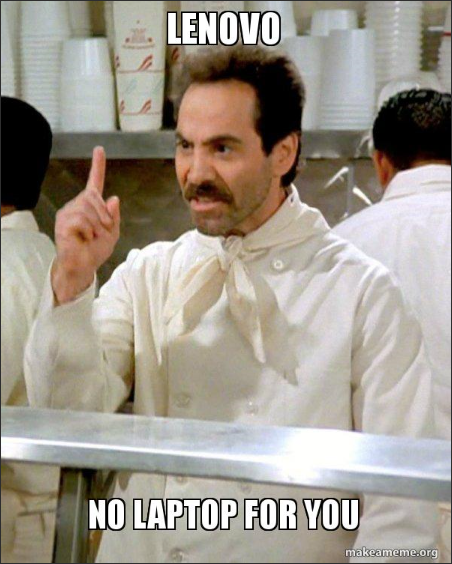 I worked a client recently who validated all of the DAX in the tabular model by writing SQL to ensure they were getting the correct answers. I think the validation process would have been improved with this book which takes DAX out of the black magic category and explains the way it works. Once you start writing a lot of DAX, you will at some point write a query which performs badly. What do you do to avoid poorly performing DAX? Phil provides some “old-school debugging” techniques to understand what is being generated and where it is going wrong. He also shows how you can use DAX Studio and SSMS to help figure out how and why your DAX is working the way it is. You will definitely want to reference Chapter 8 to learn more about this important topic. If you are looking for a hands-on environment to better understand how DAX works and how to improve your Power BI skills I have two opportunities for you in the US. I will be giving Advanced Power BI Classes in Columbus, Ohio on July 27 and Boston, Massachusetts on September 20. Of course we will be covering more advanced DAX development and tuning as well as applied visualization theory to improve the interactivity of your Power BI reports as well as hands on labs to implement the new drill-through features and enhancements in Power BI and other class topics. I hope to meet you there or at some of the other conferences I will be attending this year. Check out my Engagement page and hopefully find a place where we can meet up as I would love to meet you. 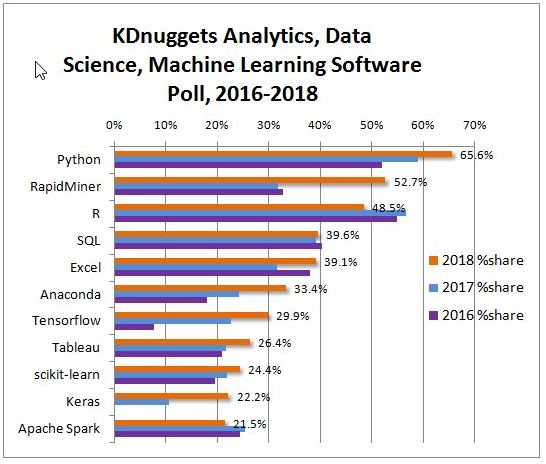 For those of you who might have missed it, the website KDnuggets released their latest internet survey on data science tools, and Python came out ahead, again. Python has continued to gain as a tool that people are using for Data Science. The article accompanying the graphic is very interesting as it brings up two data related points. The first is the survey only had “over 2300 votes” and “…one vendor – RapidMiner – had a very active campaign to vote in KDnuggets poll”. This points the fallacy in completely relying on data with an insufficiently sized data set, as it is possible to skew the results, which is true both for surveys and data science projects. If you look at the remaining results one thing also strikes me as interesting. Anaconda and sci-kit learn are Python libraries. Tensorflow could be used for either R or Python. This does tend to increase the argument for more use of R or Python over RapidMiner. The survey also made me want to check out RapidMiner. While I have not had enough time to fully analyze Rapid Miner, I thought I would give my initial analysis here and do a more detailed review of it in another post. Rapid Miner scored well in the Kaggle Survey, but also it ranked highly on the 2018 Garner Magic Quadrant for Data Science Platforms. Rapid Miner is trying to be a tool not only for data scientists, but also for business analysts as well. The UI is pretty intuitive, which is good because the help is not what it should be. I also was less than impressed at its data visualization capabilities, as R and Python both provide much better visuals. Of course, I used the free version of the software, which works but it is limiting. It looks like a lot of the new stuff is going to be only available on the paid version, which decreases my desire to really learn this tool. Recently I have done a number of talks on Python in SQL Server, literally all around the world, including Brisbane, Australia tomorrow and Saturday, June 2 as well as in Christchurch New Zealand. 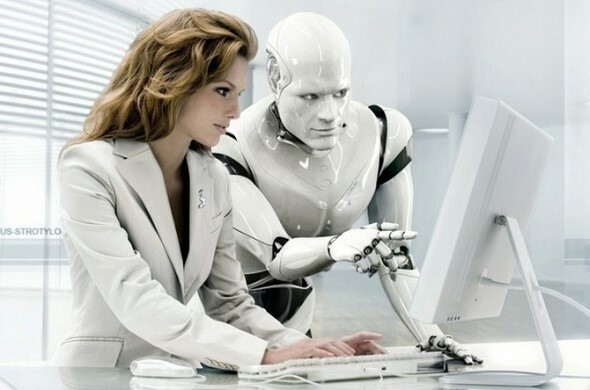 As R was written in New Zealand, I thought that it would be the last place where people would be looking to use Python with Data Science, but several of the attendees of my precon on Machine Learning for SQL Server told me that where they worked, Python was being used to solve data science problems. Now of course this is anecdotal sample, as we are not talking about a statistically significant sample set, but that doesn’t keep it from being interesting. The demand for Python training continues to increase as Microsoft has announced they are working on incorporating Machine Learning Service blog series with SQL Server Central. The first two post have been released. Let me know what you think of them. I am looking forward to talking about Machine Learning with SQL Server in Brisbane both at an intense day long session and at a one hour session on Implementing Python in SQL Server 2017 at SQL Saturday #713 – Brisbane, Australia. I look forward to seeing you there. For those who can’t make it, well, hopefully our paths will cross at a future event.